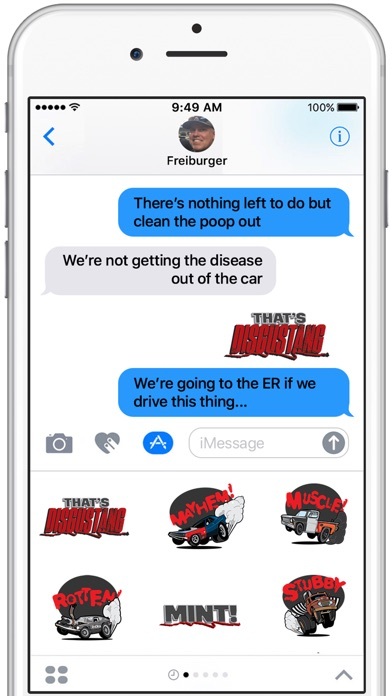 Tune up your texts with the Roadkill Sticker Pack. Add some high-octane shenanigans to your conversations with the trucks, cars, and catchphrases of Roadkill, Motor Trend OnDemand’s gearhead automotive adventure show, starring David Freiburger and Mike Finnegan. App Instructions: 1. Open MESSAGES from your home screen (or open an existing message). 2. Tap the APP button [the icon next to the camera icon that looks like three pencils as an "A"], or tap the SHOW MORE button [>] if you’ve already begun typing. 3. 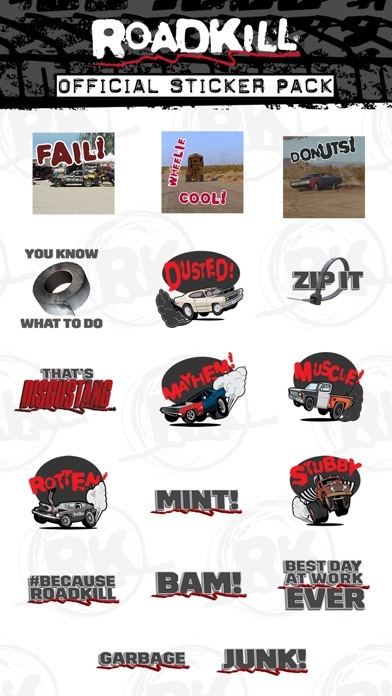 From the APP menu, select the ROADKILL STICKER PACK. 4. 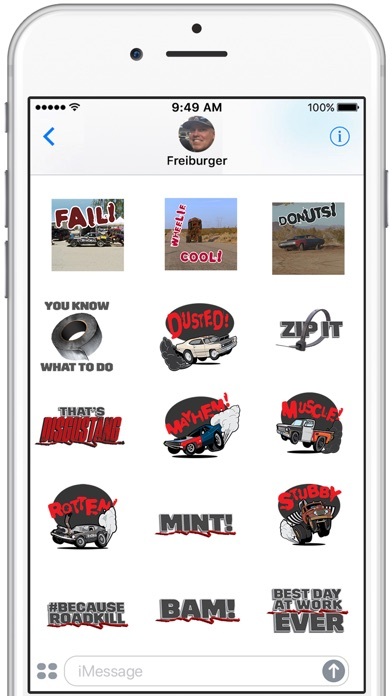 Select the desired Roadkill vehicle or catchphrase you want to include in your message and the sticker will copy and paste into your message. 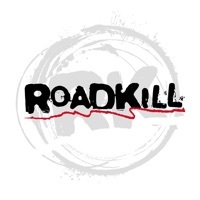 Watch Roadkill with the Motor Trend OnDemand iOS app!